UNDERWORLD: BLOOD WARS Trailer Revealed! 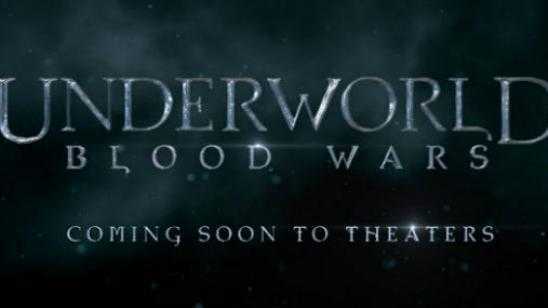 Underworld: Blood Wars (2017) releases in movie theaters on January 6, 2017, but we do not have to wait much longer to see this first trailer for the film. Kate Beckinsale and Theo James reprise their roles against a new Lycan threat, a new Lycan leader played by Tobias Menzies, in a film directed by Anna Foerster from a script by Cory Goodman. As you can imagine, there is a good bit of action scenes after a little recap of the previous films in the Underworld franchise. Lara Pulver, James Faulkner, Peter Andersson, Clementine Nicholson, Bradley James, Daisy Head, and Charles Dance as the returning Vampire Elder Thomas star in Underworld: Blood Wars. Tom Rosenberg of Lakeshore Entertainment is producing alongside Gary Lucchesi, Richard S. Wright, David Kern, and Len Wiseman. Official Synopsis: The next installment in the blockbuster franchise, UNDERWORLD: BLOOD WARS follows Vampire death dealer, Selene (Kate Beckinsale) as she fends off brutal attacks from both the Lycan clan and the Vampire faction that betrayed her. With her only allies, David (Theo James) and his father Thomas (Charles Dance), she must stop the eternal war between Lycans and Vampires, even if it means she has to make the ultimate sacrifice.